Prescriptives Super Line Preventor Xtreme Review (2018): Is it Good? 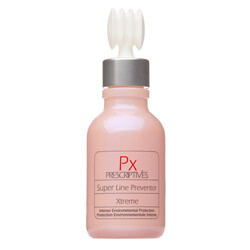 Prescriptives Super Line Preventor Xtreme, US $84 for 1.7 oz., is an anti-aging product that is designed and formulated to function as a preventive solution to fight wrinkles even before they begin. Prescriptives is a brand that was originally founded in 1979, retained a cult following then, relaunched to the global stage in 2011. 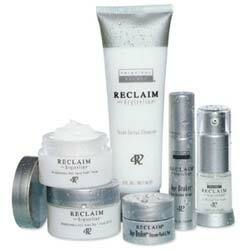 It is a skincare company that mostly operates out of the US, catering mostly to clients based in US locations. The brand caters to all skin types, including to those with sensitive skin as well as special needs like aging and acne-prone skin. This product works by flooding your skin with antioxidants to help protect it from damage and aging caused by free radicals. It also helps strengthen your skin to make it more resilient and better able to withstand free radical attacks. The company guarantees that none of its products are tested on animals. 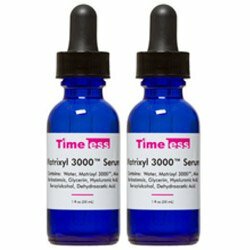 Many of the products formulated by the manufacturer have been tried and tested for decades, and some continue to be similarly formulated as before, which establishes its credibility and track record in skin care. The manufacturer does not provide details of studies undertaken from which its claims are based on. The manufacturer fails to disclose full product ingredients list, making it impossible to asses this product for its efficacy and safety. Prescriptives Super Line Preventor Xtreme reviews have mostly pointed out how this product feels nice on skin but hardly leaves any significant improvements that they could see. Without a full disclosure from the manufacturer about what this product is made of, it’s impossible to tell how it works and whether or not it is safe for use on your skin. Nevertheless, caution should be taken when using this product. Always perform a patch test before applying on your skin to test for possible adverse reactions. Apply up to 3 drops of Prescriptives Super Line Preventor Xtreme as part of your day time and night time skin care routines, following a fresh cleansing and toning. Layer on with the thicker moisturizers in your regimen. Prescriptives Super Line Preventor Xtreme is founded on a firm concept to prevent aging on skin, and that is, by providing ultimate protection from environmental factors that cause it. Unfortunately, many other factors can come together to conspire against your skin. That means, flooding your skin with antioxidants will be a helpful strategy but, one that cannot help your skin withstand the multiple causes of aging alone. 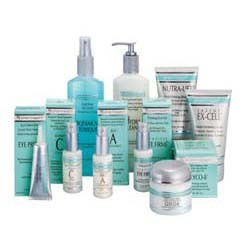 Your skin needs more, and if you can’t derive it from this product, there’s one out there that will.